To write a post on the blog, select + New from the top menu bar. Select Post if you want to add a post, or select Media if you want to add a file, image, etc. 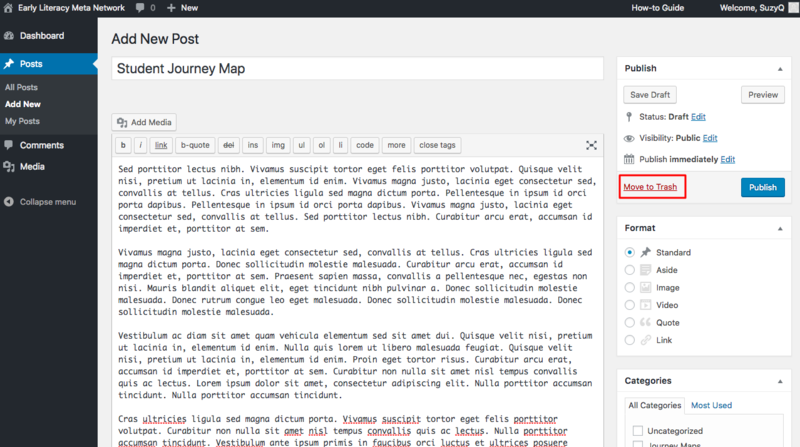 Selecting Post will take you to a post authoring page. On the Add New Post page, enter your post's title, content, and upload any media. Note: there is no word/character limit for posts. 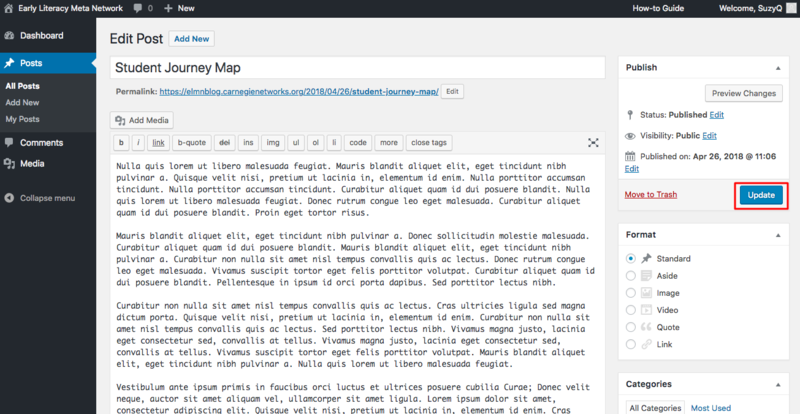 If you want to customize your post's look, you can select your desired post Format. Choose the Category or categories under which your post falls. This will enable other network members to easily find your post on the site by searching for content within categories. Tag your post with any relevant keywords. 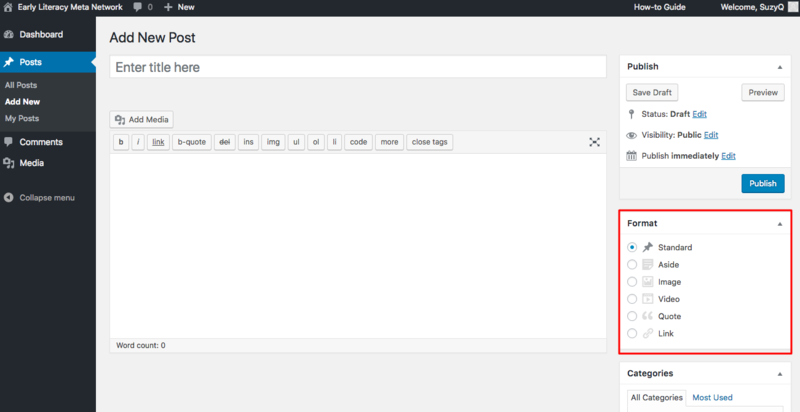 Tags can be searched on the site to refine searches beyond Categories. Add a Featured Image for your post, if you wish. Publish your post by selecting Publish. Your post will appear on the blog homepage, where other members of the network can engage with your content. To edit your post after publishing, select the NILS Blog name from the top menu bar. Select Dashboard. You will be taken to the site dashboard, where you can access all of your posts. From the left-hand menu on the site dashboard, select Posts > My Posts. Select the post you wish to edit. Edit as desired and select Update. Your post will be updated on the site. Any comments and replies to your post will remain attached to it. To delete a post from the blog, select the NILS Blog name from the top menu bar. Select the post you wish to delete. Select Move to Trash. Your post will be removed from the blog. All comments and replies will also be removed.